You are witnessing the first social media war. 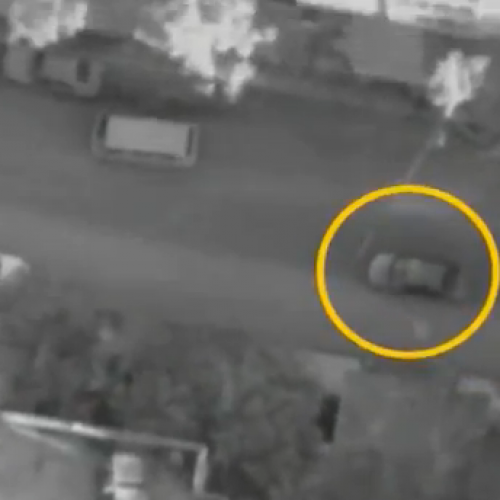 Over the past couple days, the Israel Defense Forces has tweeted, YouTubed, and blogged its case for its bombardment of the Gaza Strip in a battle against Hamas, which has launched hundreds of rockets at Israeli civilians. In flat language, @IDFSpokesperson, which has more than doubled its followers since Operation Pillar of Cloud began, has churned out a steady stream of tweets about the numbers of rockets fired from Gaza and where they have landed. But in videos and clip art, it is also willingly—brashly, even, and with a swagger that strikes some as unseemly—drawing attention to its own assault. “We’re looking at a terror organizaion called Hamas, that calls for the destruction of Israel, doesn’t acknowledge its right to exist, that professionalized the suicide bomber,” Avital Lebovich, the IDF lieutenant colonel and spokesperson responsible for the Twitter feed, told me yesterday. “Some people might think we’re looking at a political party, but that’s not the situation.” Her confidence mirrored that of the IDF’s social media accounts: that if everybody knows the facts, they will be convinced of the rightness of Israel’s cause. Which is risky, because that isn’t necessarily the case—especially when there are powerful images that argue against Israel’s side, such as a photograph of a baby killed by an Israeli bomb. (Israel was targeting Hamas terrorists; compared to past operations in densely populated Gaza, tragedies such as this have been less frequent—thus far.) And while Israel can win militarily with brute force, applying the same strategy to social media risks turning international opinion against the country. But there is an argument that it should be welcomed, if only on the grounds that it lets everyone see what Israel itself claims it is trying to do in a mission whose tactical aims are obvious (halt rocket-fire and drone production) but whose strategic aims are less so (there isn’t really a good alternative to Hamas rule over Gaza). This more immediate form of the same old sort of propaganda encourages observers to judge Israel on the wisdom, or lack thereof, of its actual actions. Who doesn’t want that? In recent years, every battle the Israeli military has fought has been followed by an amorphous, harder-to-control war over how that battle is perceived. More than ten years ago, during the Second Intifada, an operation in the West Bank city of Jenin led to accusations of massacre, which were later—but only after the appellation “massacre” had set in—proven false. Operation Cast Lead, the 2008-9 Gaza incursion, lasted three weeks and accomplished most of Israel’s immediate objectives; the tussling over the United Nations investigation, which produced the Goldstone Report, lasted far longer, and eventually did great damage to Israel’s reputation in finding that both Hamas and Israel had likely violated laws of war. (Israel, which did not cooperate with the probe, heavily protested the report, and lead investigator Richard Goldstone repudiated it.) In 2010, when a flotilla of ships tried to sail to Gaza, the Israeli Navy maintained its blockade—but not before IDF soldiers boarded the Mavi Marmara and killed nine aboard, causing an international outcry. Despite evidence that a group with Al Qaeda ties had helped organize the flotilla and that, contrary to its rhetoric, not all aboard the Mavi Marmara had come in peace, the predominant narrative that emerged was of Israeli aggression against harmless innocents, and even Israeli supporters tend to acknowledge it was a P.R. debacle. Unmentioned in the video—which, in the most literal sense, was by definition “directed”—is that Jabari’s son was also in the car, and of course was killed. But even the most cloistered of observers are bound to learn that, even from sympathetic news accounts. They are also bound to learn that Jabari was responsible for hundreds of Israeli civilian deaths and was more or less in charge of the five-year-long captivity of Israeli soldier Gilad Shalit, which appalled even most Gazans. A Twitter feed or a YouTube page is not a silo. The IDF’s bulletpoints about how many rockets have been fired uneasily jostle for readers’ attention alongside news reports, anti-Israel sentiment, and, this morning at least, tweets about Twinkies. This means that propaganda generally stands to be only as effective as the actions it seeks to validate; and the more bombastic the propaganda, the more that is the case. “When you have the clip as proof,” Lebovich told me, referring to the assassination video, “it speaks better than anything else.” That’s true—but what exactly it says still depends on who’s listening.